The MP for Hastings and Rye has resigned from his Whitehall post over the government's stance on Iraq. 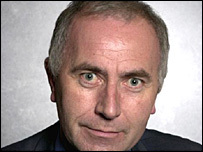 Michael Foster, a Labour MP since 1997, was Parliamentary Private Secretary (PPS) to the Attorney General. Mr Foster defied the whip to not vote with the government in Tuesday night's debate on military action. But unlike more than 100 of his backbench Labour colleagues, he chose to abstain rather than vote against the government. Mr Foster said opposing the prime minister and government's stance was the hardest thing he had had to do since entering the House of Commons six years ago. He said: "I've never failed to follow the government line in any previous vote since I was elected, so it was very difficult indeed. "But I felt I couldn't do other than I did, which was that I could not support the government because I did not believe they had the appropriate legitimacy in pursuing this action." Mr Foster said the Attorney General, Lord Goldsmith, had thanked him for his efforts as PPS. He said people in his constituency had been approaching him with their views both for and against any possible war and he had taken their thoughts on board. And he told the BBC he expected to support the government on nearly all issues in the future. Three other Sussex MPs voted against the government - David Lepper, Labour MP for Brighton Pavilion, Des Turner, Labour MP for Brighton Kemptown, and Lewes MP Norman Baker, who followed the Liberal Democrat party line of opposing the government. What now for the anti-war rebels? Did your MP support the rebels?